This post is sponsored by Cricut, affiliate links included. All project ideas and opinions are mine. Hey friends, I am sharing an amazing gift--mini leather journals with pen holder--made with the Cricut Maker. Getting a Cricut Maker is an investment, but it's worth it...and it's easy to get the full value out of it over and over again. 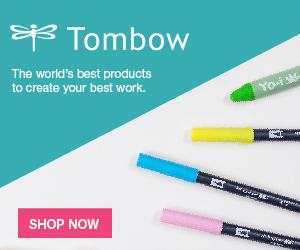 For starters, you can make amazing gifts for everyone on your list. Handmade gifts are my favorite...but I want to make sure they are top quality. That's why the Maker is amazing--it can cut fabric, wood, leather, faux leather, chipboard and more! Here's a great project that I designed, and I'm giving you the project file free--Merry Christmas! This scoring wheel is amazing! Makes a smooth deep line, perfect for beautiful folding--even on pebbled faux leather! 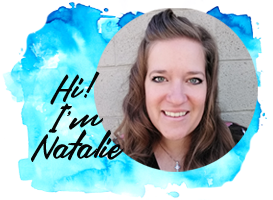 Open up this project in Cricut Design Space...isn't this awesome? I designed it myself using shapes, slicing and welding. Then place the faux pebble leather face down on the Cricut mat. No need to mirror the project, it's all ready to go. Slide the mat in and put the scoring wheel in the holder. The project will score first. Then remove the scoring wheel and replace it with the fine blade...don't remove the mat during this process. Just replace the blade and click the C button. It will quickly cut the shapes and then you can remove it from the mat. Cut some images out of iron on vinyl. The images just need to be 1.75 inches wide or less. Here's the flourishes I used. Heat your EasyPress 2 up to 300* and place the journal cover with iron-on on the EasyPress mat. Cover with the protective sheet and press on the EasyPress 2 for 15 seconds. That's it! Let the iron-on cool down completely...then peel back the carrier sheet. Now it's rubber cement time. Cut a scrap piece of the faux leather that will cover the slits on the journal. Add some rubber cement to the backside of the journal cover and the top side of the piece cut...don't put glue on the piece between the slits. Let the rubber cement dry and cover the slits with the smaller piece. Next, put rubber cement on the top of the composition book and the inside of the journal cover. Let them dry to tacky. Then line up and press the comp book on the rubber cement of the leather. Apply rubber cement to the backside of the comp book and inside of the leather. Do not put any rubber cement between the scored lines. Let the rubber cement dry and then line them up and press them together. Press down firmly to secure the book in place. The composition book will stay perfectly until you want to peel it out and glue in a new filler book. This way the leather can be reused! Now fold over the top flap and insert a mini pen or regular pen in the slit loop. It makes the perfect clasp closure for the journal! Never sit down to write or sketch without a pen. With the Cricut Maker set up and ready to go, this project only takes 15 minutes to make. That makes this the best handmade gift or stocking stuffer! 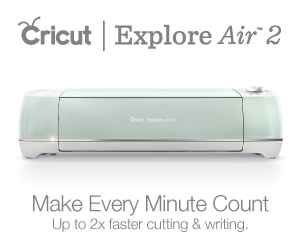 Is the Cricut Maker on your list? It won't be long before the machine pays for itself...more details on this post. These little journals are perfect for slipping in a bag and taking everywhere. Great handmade gift too! This is part of a Blog hop focusing on Christmas crafts from the Dollar Tree. Who would you make a mini leather journal for? AGHHH, This is Genius!!! I'm currently making my first one, NO rubber cement in my house so now I have to wait but while Hubs shops, I can find the perfect iron on. This will be the beginning of gifts, Dr.s, mail, paper, refuse, hostess, NO ONE will be exempt from GIFTS!! AND cookies & Soup Bulbs, this is my FAVORITE time of the year! I was born to GIVE!! Thank You for the idea & the cut file, you ROCK!! !